Coffee is an integral part of the food culture, in a landscape that is rapidly changing coffee trends as existing customers age and a generation of new customers take the stage demanding different products, broader services, and more interactive coffee experiences. As millennials become the most significant spending demographic in the coffee market, they are forcing new coffee trends and changing the way the industry engages with it’s customers. These are closely related to millennial’s leading faster paced lifestyles, being less socially integrated and favoring social media more than older generations. For them, coffee is closely associated with social interactions, and their relationship with their favorite coffee shop or brand, involves an emotional connection. They are more health conscious and more supportive of indie and artisanal products and craft businesses. Brands are responding to this with new products, experiments in flavors, and trying to adapt to the blurring of lines between traditional market segments, such as at-home coffee and on-premise or out-of-home coffee. 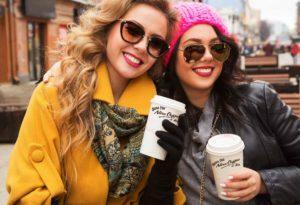 Millennials love coffee so much that they are driving a global surge in coffee demand. Millennials, who recently became the largest demographic in America after surpassing the baby boomers, consume 44% of all coffee consumed in America. While millennials born in the 80’s started drinking coffee at the average age of around 17, those born after 1995 started at an average age of 14. Unlike the preceding generations for whom coffee was merely a beverage that they drank at home to rouse them in the mornings, millennials drink coffee for the social experience, as well as a definition of personal self. Millennials don’t just drink coffee; they share their expertise with their peer group through social media and online discussions with others who share their interest in coffee. While Starbucks initiated this cultural phenomenon, of late McDonalds and Dunkin’ Donuts, along with thousands of independent coffee merchants, are trying to cash in for the millennial’s love for java as well. Canned and ready-to-drink (RTD) coffees are seen as the next frontier for coffee growth, and a great field to start a new business. As users eschewed frozen juices and fizzy drinks in favor of packaged coffee, sales of RTD or bottled coffee touched $2.4 billion in 2015 and have continued to mount, according to Bloomberg. One of the reasons for the rising popularity of bottled cold coffee is the increasing health consciousness of millennials which has caused a fall in popularity of sweetened, carbonated beverages. As they achieve higher purchasing power, millennials, who value mobility, are drawn to RTD coffee’s on-the-go convenience and natural functionality. The coffee trend toward RTD’s still has a lot of untapped potential because of its capability to shift the paradigms of coffee consumption. Previously, breakfast, lunch or work breaks were the only times of coffee consumption. Coffee was closely associated with a break from work. Earlier coffee trends preferences like, flavors, styles and varieties, closely followed the these consumption periods. Similar to canned colas, RTD coffee can be consumed anytime and anywhere without the need to pause ones activity. Additionally, due to the dynamism of its customers, bottled cold coffee is fertile ground for experiments in flavor and ingredient pairings. RTD coffee also extends the cold coffee drinking season beyond just the summer months to any time of the year. Recognizing the potential value of the ready-to-drink coffee market, most of the major coffee players have jumped into the fray. Dunkin Brands announced its plans for a new range of cold coffee beverages in 2018, entering a market already occupied by the likes of Starbucks, McDonald's, Peet’s and other chains. 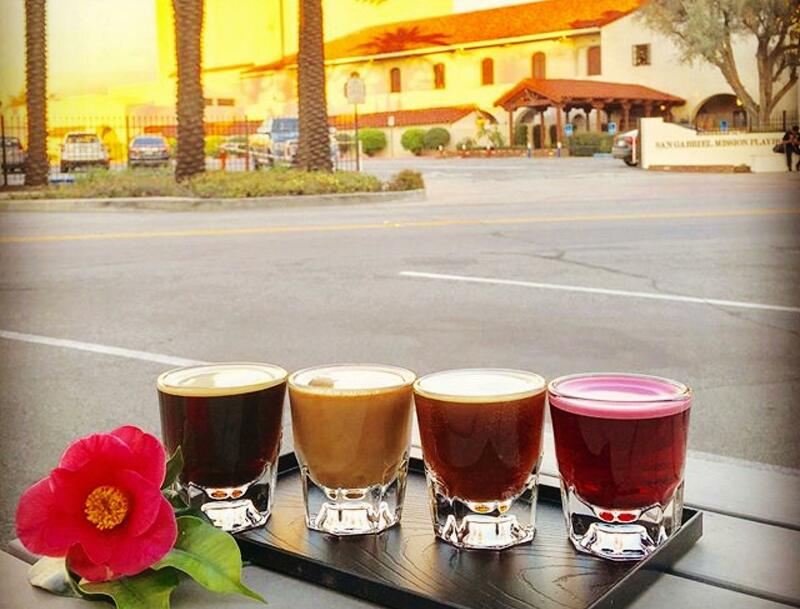 As RTD coffee makes it easier to consume coffee anywhere and anytime, on-premise coffee shops are trying to create unique drinking experiences to draw coffee drinkers back to their stores with innovations such as nitro coffee. Nitro coffee is cold coffee, usually from a keg and infused with nitrogen. The nitrogen makes the texture of the coffee creamier and gives it a rich head on the glass much like that of Guinness Stout. 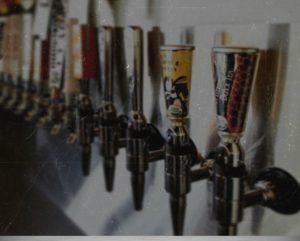 Like beer, it is brewed in advance, stored in kegs and served from a draft tap using nitrogen gas as a propellent. It looks like beer, pours like beer, and yet it’s coffee. The nitrogen introduces an beautiful visual effect as well as an interesting mouthfeel. 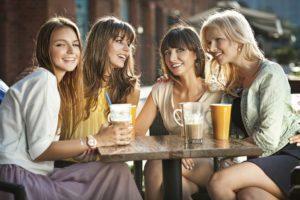 Some drinkers even perceive a sweetness to the brew without sugar being added. 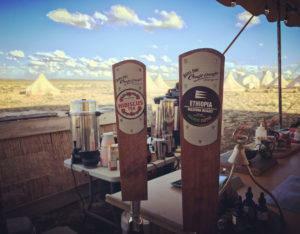 Nitro coffee on tap is also more sustainable then RTD’s due to its reduced landfill waste. Each keg has the potential to save 80 RTD containers from being thrown away. It is quickly being adopted as the drink of choice for health-conscious, coffee drinkers and proponents of sustainability. As nitro coffee grows in popularity, food service venues of all kinds are putting in draft equipment dedicated to Nitro Coffee. This trend appears to be sticking. Besides the obvious outlets, such as coffee bars, bakery’s, offices, hospitals, airports and even stadiums are tapping into the frenzy. For many coffee houses, summer is when customers substitute their hot cup of coffee for an iced coffee. Iced coffee sales have been known to exceed hot coffee sales in warm climates when consumers want a cool, vitalizing, refreshing drink. Traditionally iced coffee was yesterday’s leftover coffee stored in the fridge and served with ice. But now a trend is changing how many brewers prepare coffee for cold consumption, it’s called cold brew coffee. Water temperature is substituted for brew time during the brewing process. Traditional cold brew is made by steeping ground coffee in room temperature water for a period of 8 to 20 hours. The idea is that without the high heat, fewer compounds are extracted out from the coffee grounds, resulting in a less acidic and sweeter taste. This cold steeped coffee is then chilled and served cold. The jury is still out on the value of the process, but the cold brew space is ripe for innovation. Brewers are inventing new methods for extraction using both hot and cold methods or combinations of the two and it’s all loosely considered to be “cold brew”. 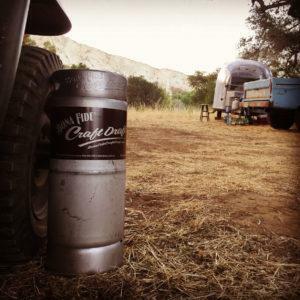 One such company, Bona Fide Brewing Company in California, has a patented process that produces food-safe cold, flat and nitrogenated coffee, packaged in tamper-proof beer kegs that are flavor stable at room temperatures for 90 days. They reportedly even sell kegs of nitro coffee on Amazon, a noteworthy industry first. Innovations like this will likely lead to continued growth in this category. 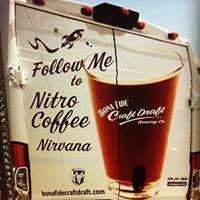 Cold coffee is extremely popular, especially among millennials because it combines mass market appeal with indie craft. A Mintel report claims that sales jumped up 580% between 2011 and 2016. Cold brew and Nitro Coffee are both expected to grow briskly as a new coffee trends in 2018 with everyone from the large coffee chains to craft coffee bars serving up cold brews. Coffee drinkers are continuing the two generation trend to favor more high-quality coffee, with about 59% of coffee consumed daily in the US being specialty (gourmet). Unlike the past decades where one could only buy specialty coffee from a few companies, people are consuming coffees which have unique flavors, specific origins and come at a premium price. Consumer coffee trends, within the larger overall trend of specialty coffee, recognize the roles of the producer and the roaster in producing the perfect cup of coffee. Specialty coffee sub-trends also emphasize direct relationships with coffee farmers, sustainable farming methods and even technology in order to recognize, and pay for, their effort and care. As coffee drinkers prioritize flavor and the drinking experience, the door has opened for specialty coffees chosen from a wide selection of sources and varieties from all over the world. An example of this is direct trade coffee where coffee roasters deal directly with the coffee producer to get access to the best of the coffee crop. This process is thought to eliminate the middleman and give the producer a larger share of the profits. As an increasing number of people see drinking coffee as a necessary luxury rather than a cheap fix to get through their day, growth in the consumption of specialty coffee products is expected to continue, according to the Specialty Coffee Association.